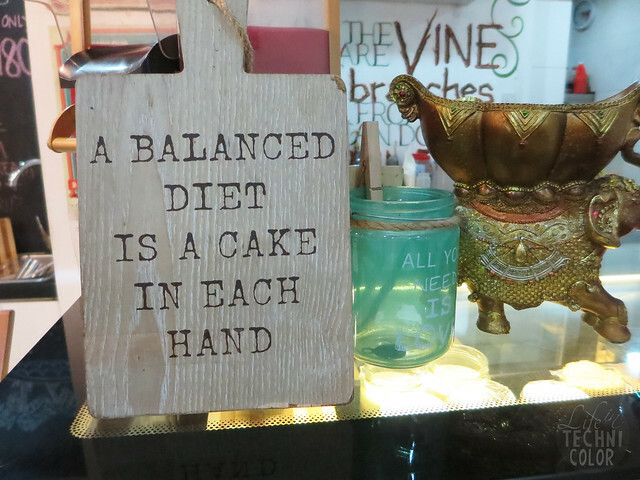 John 15:5: "I am the vine and you are the branches.."
Welcome to Vine Cafe by Fat and Skinny Desserts! 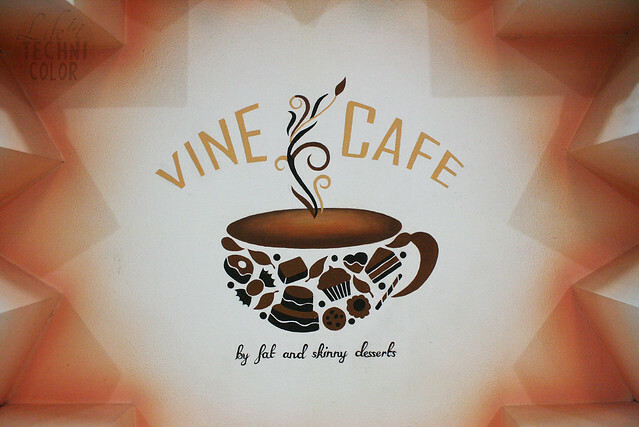 Vine Cafe only opened its doors to the public on October 8, 2015, but it actually started out as an Instagram shop named Fat and Skinny Desserts in late 2013. 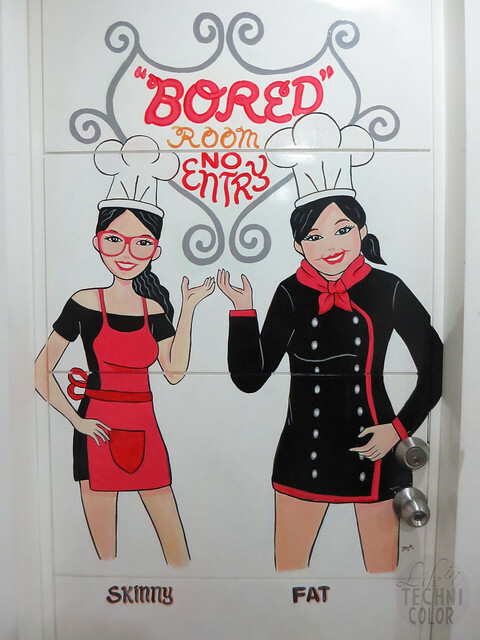 Erica dela Paz and Rejoice Ondoy wanted to pursue their passion for baking and making pastries, so they sold assorted cake jars online and even joined bazaars where, at the end of the day, they'd always sell out. 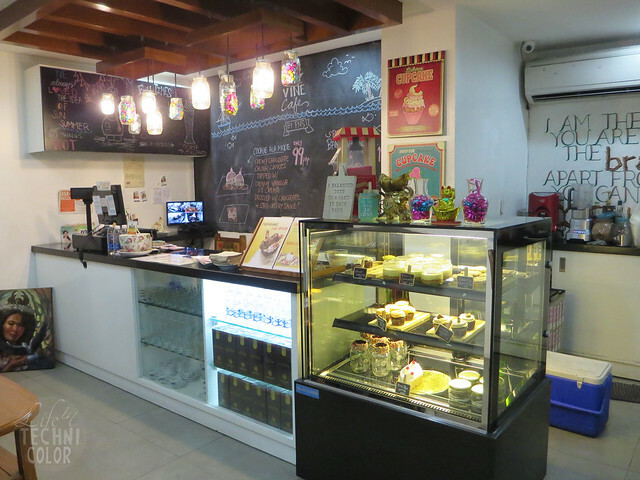 To cater to the increasing demand, they decided to open Vine Cafe and offer not only pastries, but paninis, pasta, and frappes, as well. 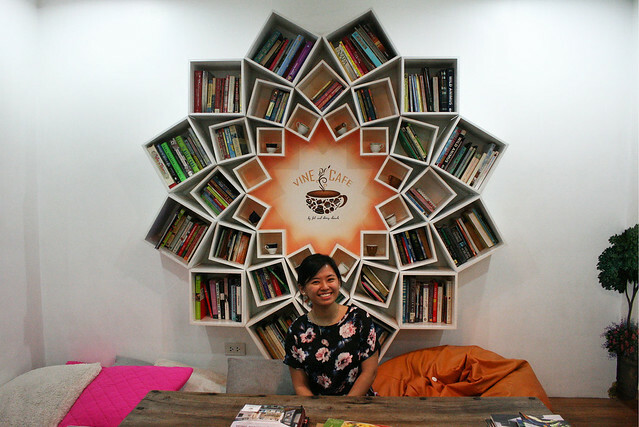 With the help of ARTipolo, a group of artists from Antipolo, they were able to create a one-of-a-kind cafe that's filled with art, books, food, and most importantly, love. 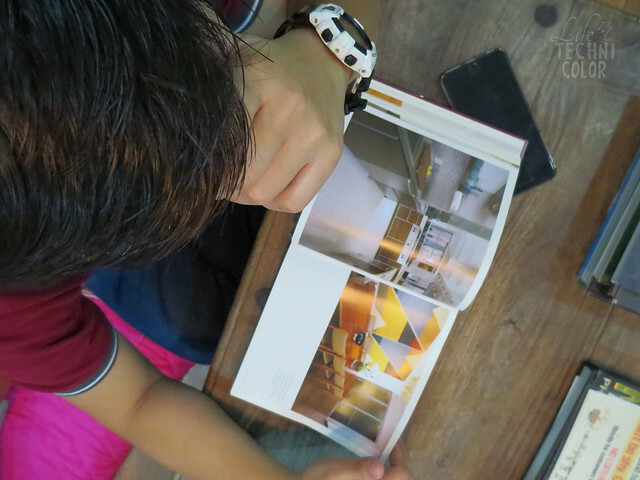 The owners wanted to inspire love - not just romantic love, but also friendship, brotherly love, spiritual love, etc. 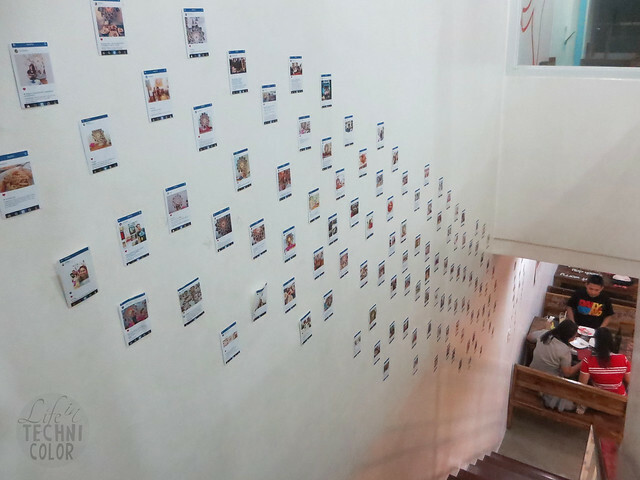 Tim and I took our time exploring the different parts of the two-storey cafe. 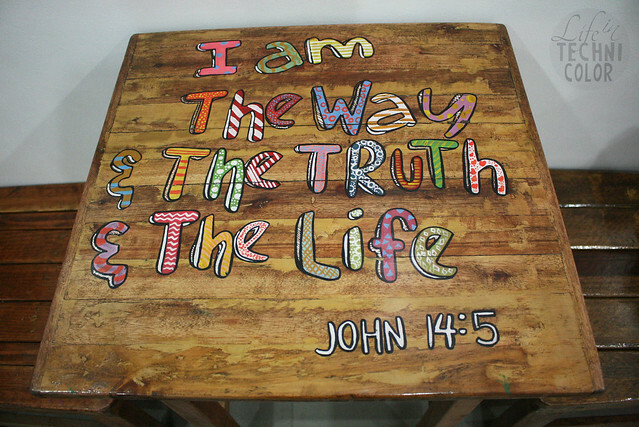 All the tables were painted with Bible verses. The same goes for the chairs. 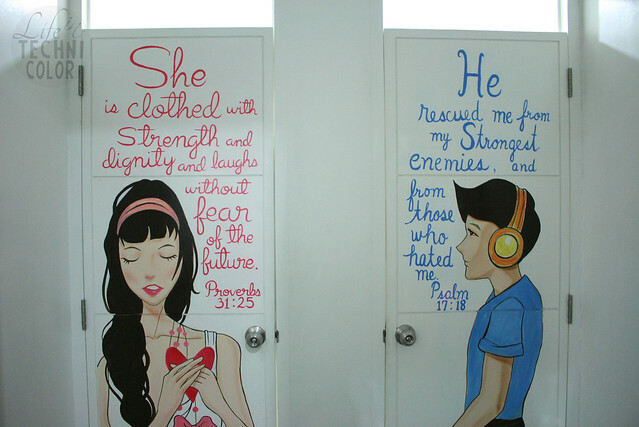 Even the restroom doors were painted beautifully. The best part of the cafe? The reading room. 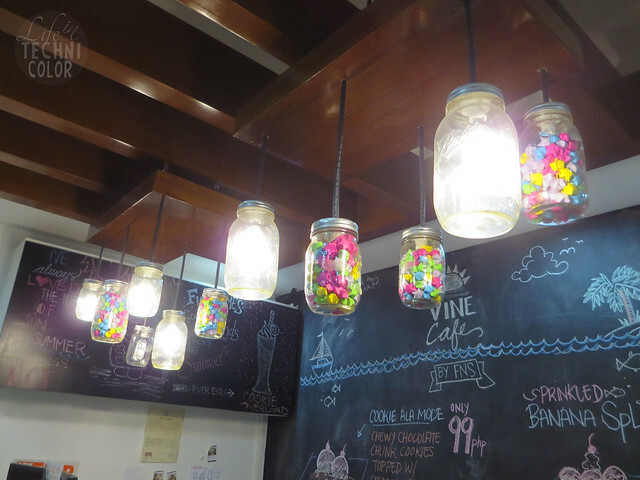 When I saw a photo of it, I wanted to go to Vine Cafe immediately! 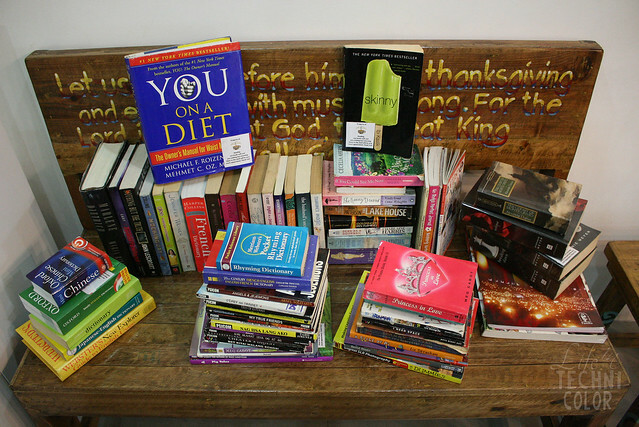 This room has so many books in it, there's definitely something for everyone! After all the photo-taking, we couldn't wait to eat! It's basically a chocolate banana shake with various chocolatey snacks like Cloud 9 and Stik-O on top, whipped cream, sprinkles, and two kinds of syrup. It isn't as heavy as it looks; the drink itself was actually pretty refreshing - it is once you start eating the toppings that you'll feel guilty about this crazy concoction. 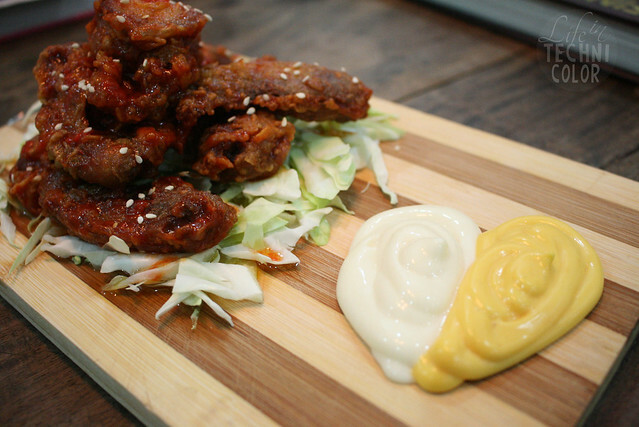 For the appetizer, we went with their Buffalove (P180), which was highly recommended by Erica. It was spicy, but not that spicy, so both Tim and I got to enjoy it (but Tim finished most of it). 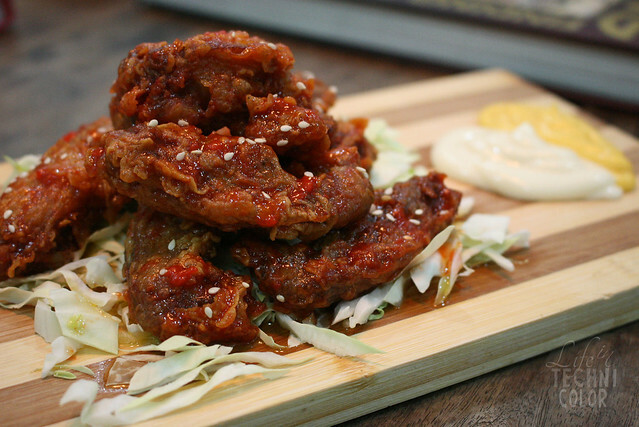 Compared to other restaurants, I thought Vine Cafe's wings was quite affordable. It's great for those on a budget. Extra rice nalang kulang. Haha! Best paired with the cheese sauce! 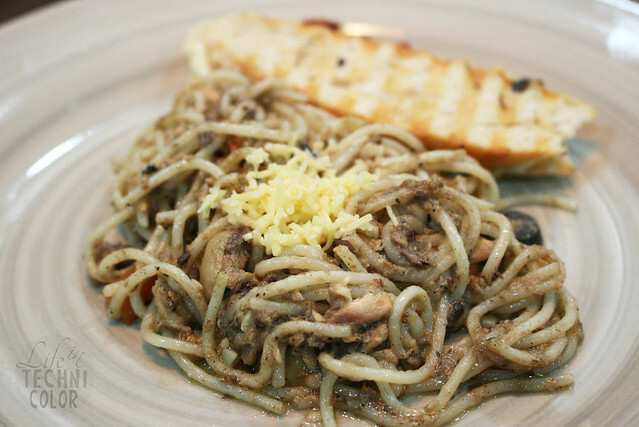 For the mains, you can either order pasta (P150) or panini (P95), or a combination of both. If you want to go for the combo, they have two kinds - the Fat and Skinny. 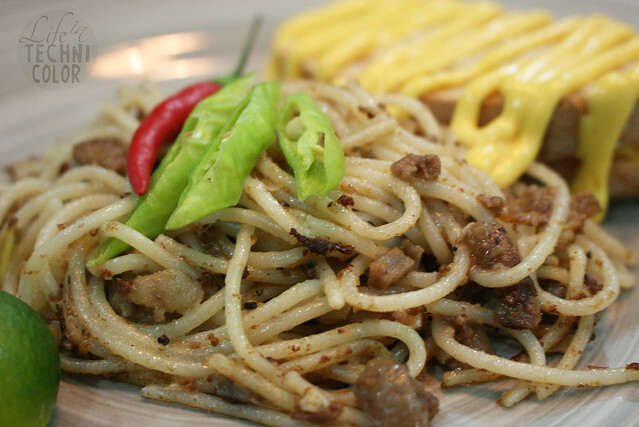 For the Fat Combo (P250), you get a full-sized pasta and panini of your choice. 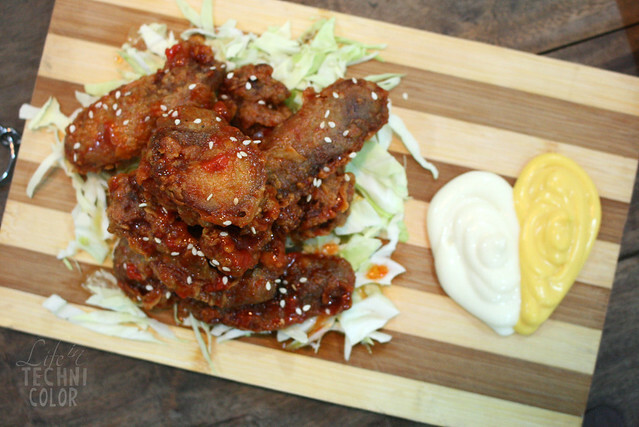 For the Skinny Combo (P150), you get half-portions. Oh, both combos come with a glass of iced tea! 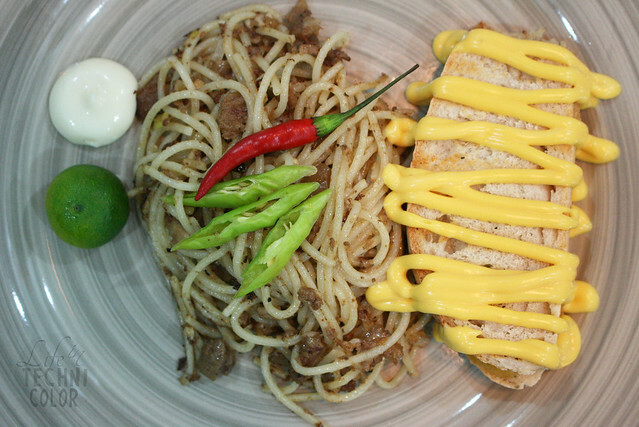 First, we tried their Sisig Me Softly pasta with Three-Cheese Panini. 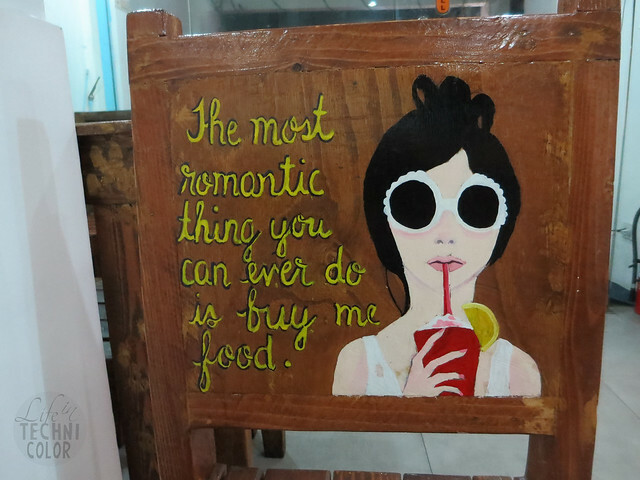 I just loved how cheesy the panini was. The sisig pasta wasn't as oily as I thought it would be, so that was good. It was actually my favorite pasta out of the three we tried. 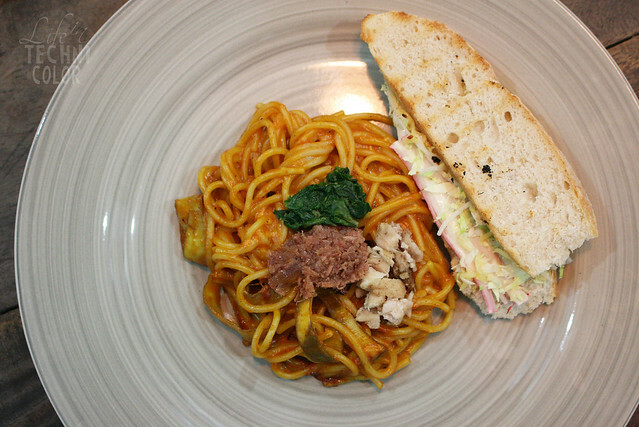 Next, we had the Eat Me If You Kare (Kare-Kare Pasta) with Kani Panini. 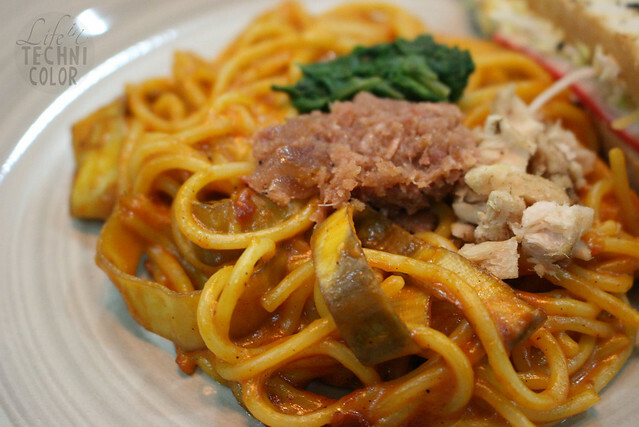 Who would've thought that kare-kare sauce on pasta would be so good? 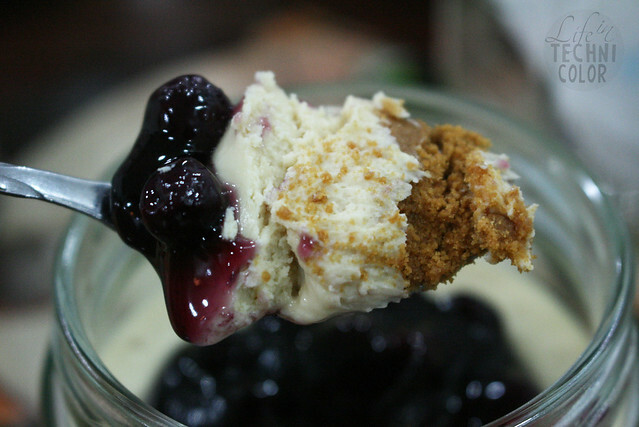 For this one, they make use of Erica's lola's recipe. 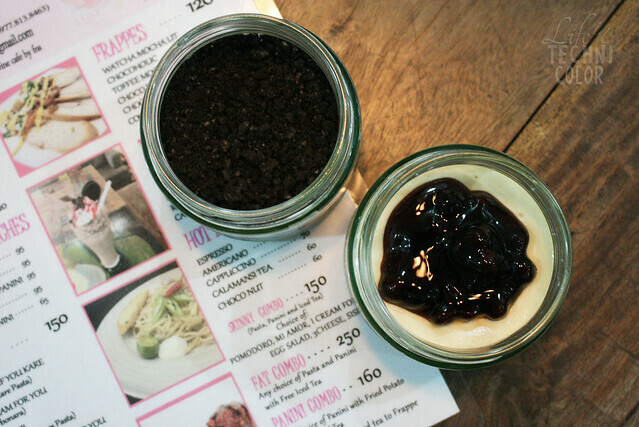 They topped it off with some bagoong (shrimp paste) and normally, I'd feel grossed out, but it actually works so yay! 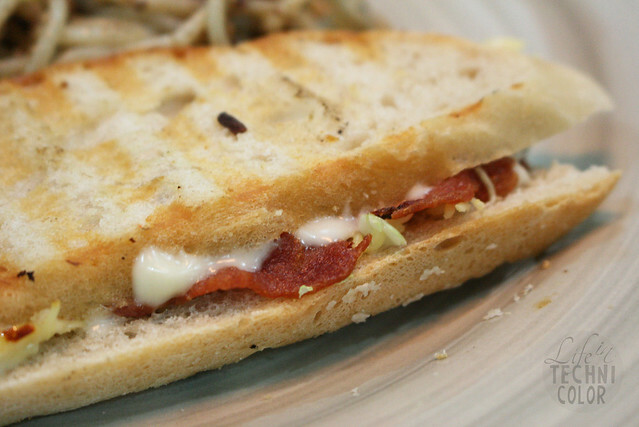 Favorite panini goes to this one! 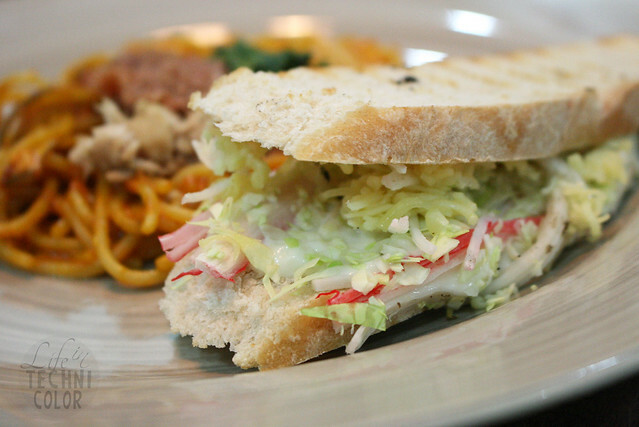 I like the flavors of the kani (crab meat), cheese, cabbage, and mayonnaise combined. 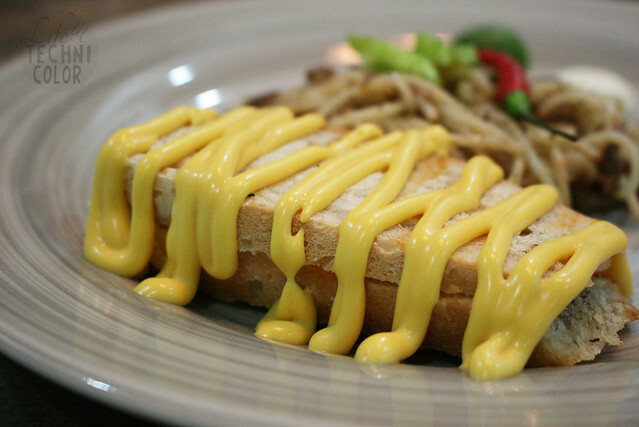 It's like the Japanese kani salad, but different since it was more creamy and cheesy, which I really enjoyed. 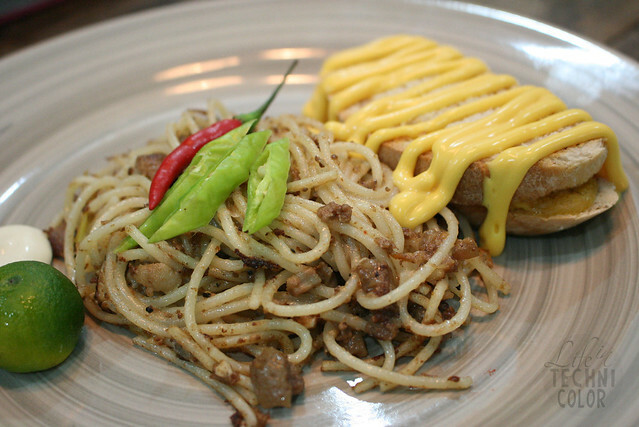 And finally, here's the Mi Amor (Spanish Sardines Pasta) with Bacon and Cheese Panini. 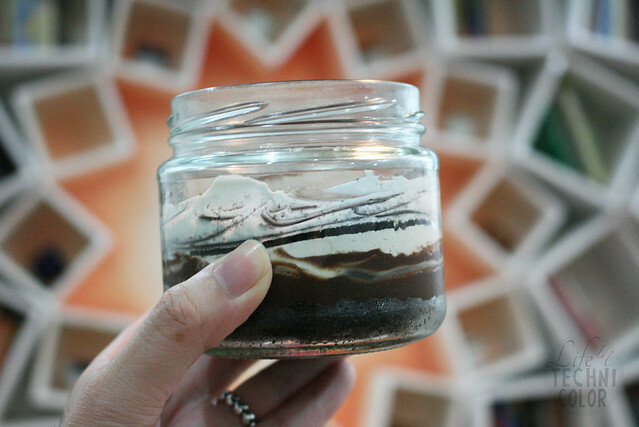 Of course, we couldn't leave without trying the desserts that started it all - the cake jars! 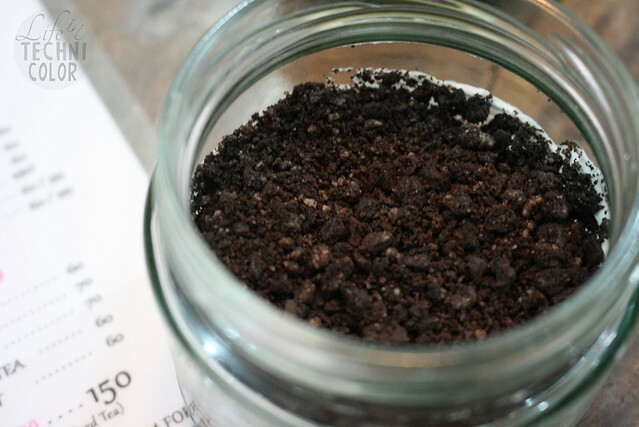 Vine Cafe prides themselves in offering desserts that are "healthier" in the sense that they contain muscovado sugar, rather than white sugar. 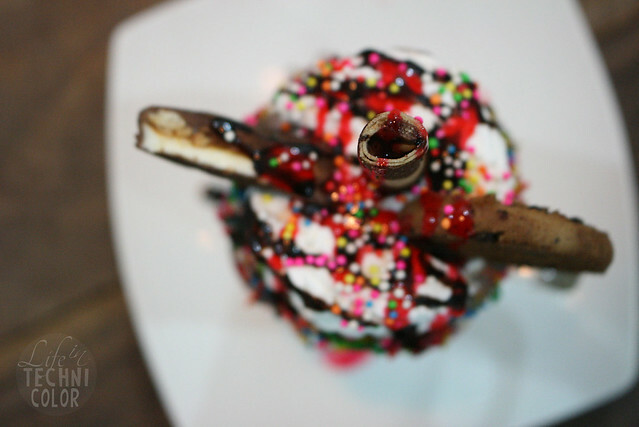 It's still sinful, but it's not as sinful as other desserts, if that makes sense. Here's their chocolatey offering - the Chocolate Lasagna. It's layers upon layers of chocolate, but to my surprise, it's not overly sweet! I ended up bringing this home because we were too full to finish it. 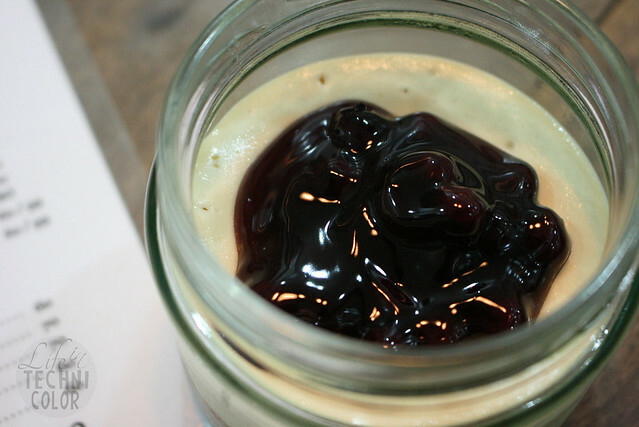 It's perfect as an after-meal treat; it's the kind of dessert that you take out of the fridge for a spoonful or two, then save the rest for later because you don't want to run out of it too quickly. 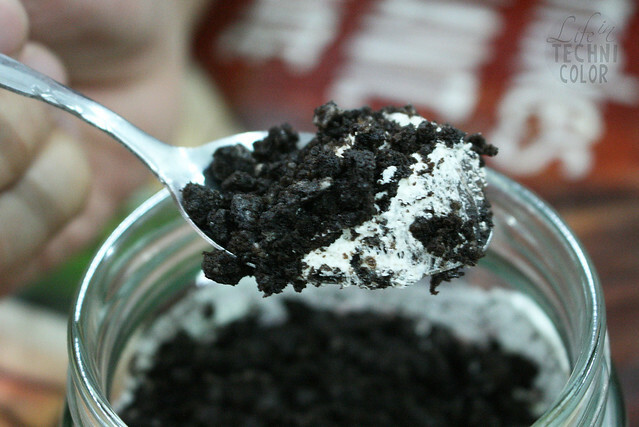 I dug in with my spoon and got this. Beautiful, isn't it? 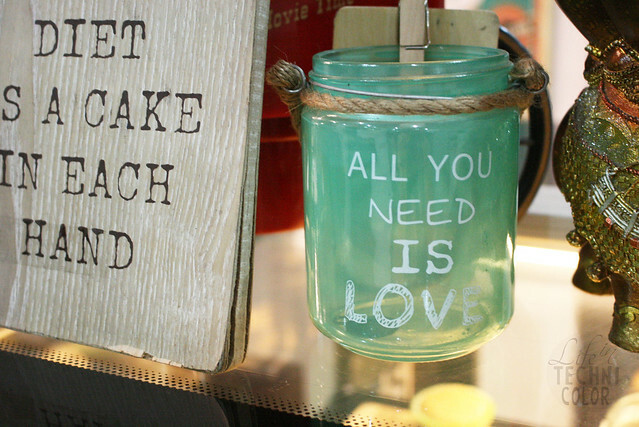 I'd totally go back just for their cake jars. 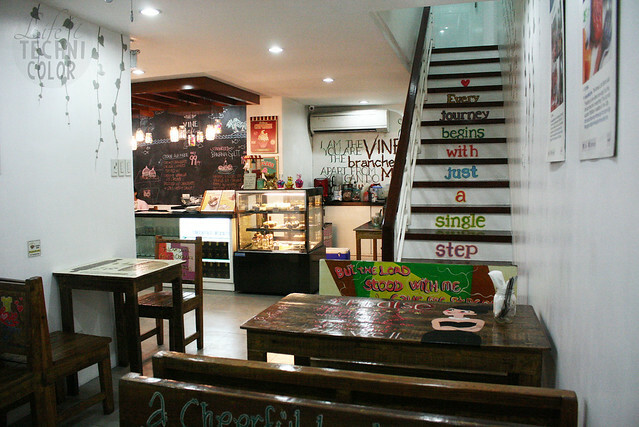 Vine Cafe is located at 4A P. Burgos Street, Malinao, Pasig City. 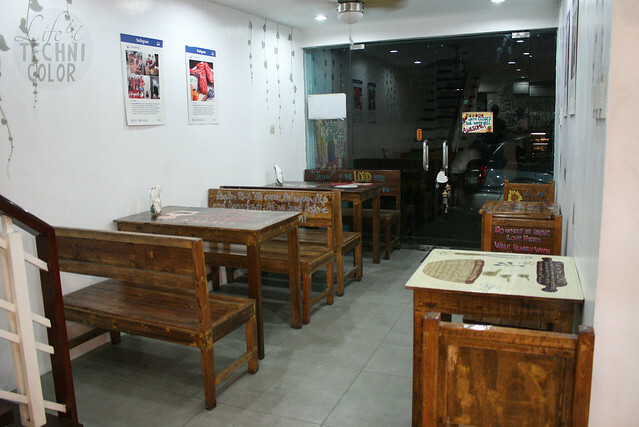 One thing that urges me to go inside a care or restaurant is the ambiance and theme. 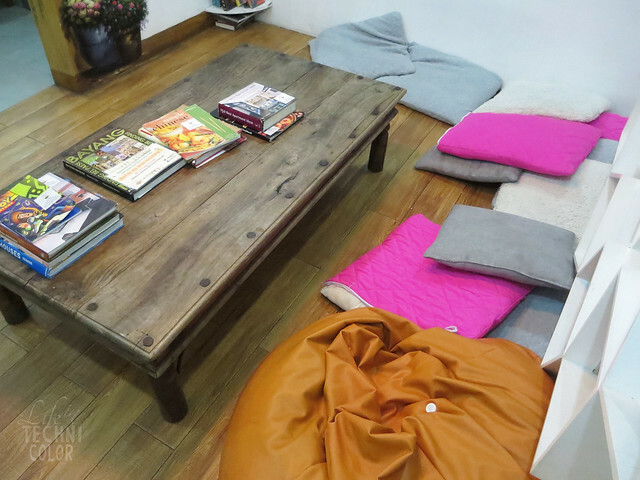 I liked this cafe. Looks a little rusty comic and artsy. 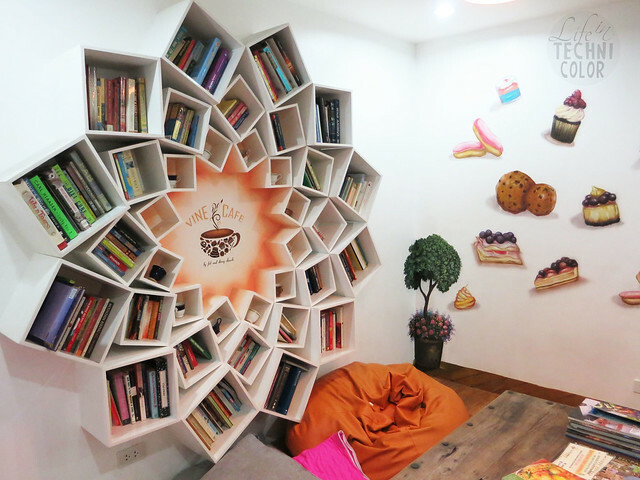 I would definitely go to the reading room and spend time reading new books. 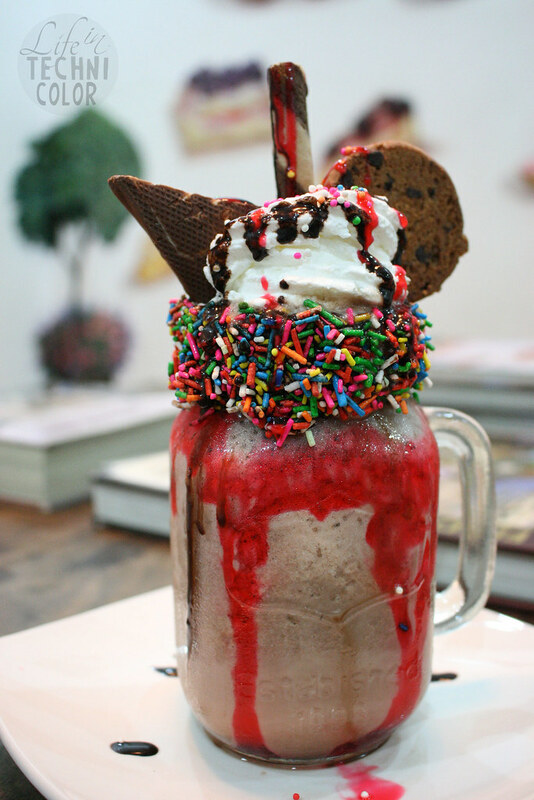 Id love to try the overflowing shakes too! 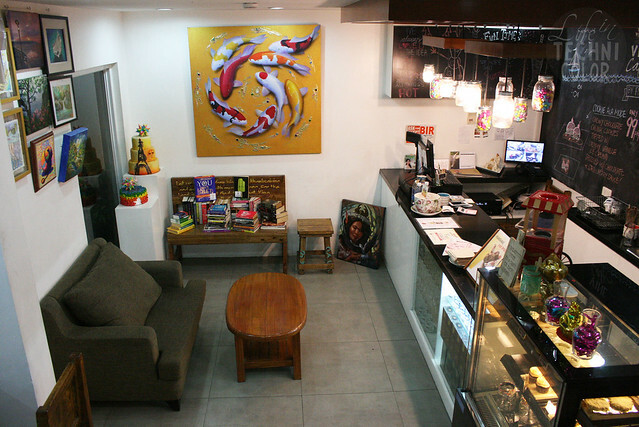 Wow, what a very trippy cafe full of art and kitschy things! 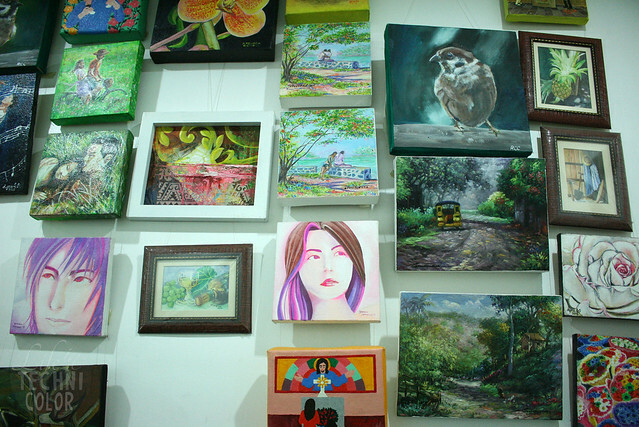 I would love to be immersed with all the creativity in here. That bookshelf looked awesome! I'd love to visit this place. Looks like my kinds cafe. 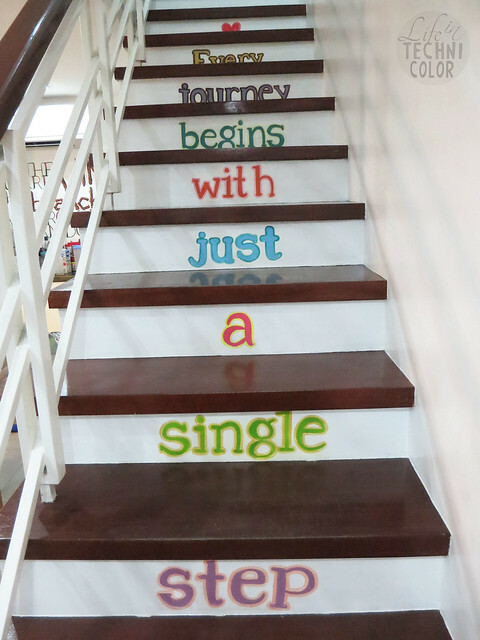 I like all the designs and quotes. The dessert though! Looks delicious! Thanks dear! You and I both! Haha! What I like about businesses like this is that it's built with passion and love, and you can see that with the artsy and unique theme. I love the reading room too! From your pictures, of course. 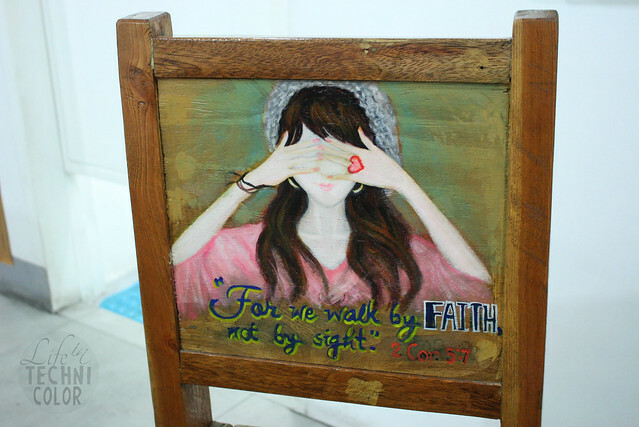 :) Too bad I'm far from Pasig but I'll try to visit this when I'm the area. Aww thank you Weslie! :) It's good you're doing research for your school business plan. Let me know if there's anything I can help with! Good luckkkkk!